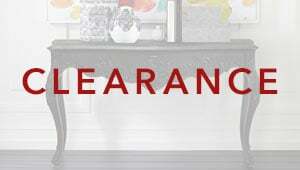 This clearance item cannot be cancelled, returned, exchanged, or refunded. Quantities are limited and items are subject to prior sale. No price adjustments on prior sales. This intriguing school of fish is based on illustrations published in the eighteenth century. It’s rich with the kind of vintage charm that resonates with art lovers and interior designers alike. Every detail—from fin and gill to scale and tail—is captured in this sepia-toned giclée on paper; it’s double matted in antique white and Kraft-paper brown and presented in a traditional hand-distressed wood frame. For added impact, pair it with Ichthyology I.